Ships have been overwhelmed by huge waves, consumed by fires, broken apart, sunk by storms and driven onto uncharted rocks. They have collided with icebergs or other ships, been sunk by enemy torpedoes or gunfire, or run aground on unlit coastlines at night. Boilers have exploded. Magazines have ignited. 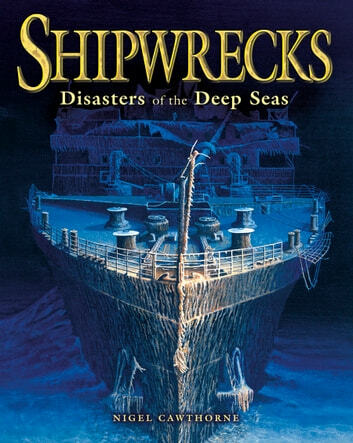 Cargoes have shifted with catastrophic consequences and submarines have submerged never to come up again.Shipwrecks selects the sinkings with the greatest loss of life, the most famous vessels, the richest treasure troves, the most archaeologically significant wreck sites and the most daring rescues. It tells the tales of the fate of the victims, the disastrous mistakes made by ships captains and navigators, the impossible conditions faced at sea, the courage of those who survived and the audacious attempts to raise what now lies at the bottom of the sea.